Younique have been taking over social media in the past couple of months, mostly focusing on there mascaras.I was lucky enough to try this for a week to see if it did live up to the hype.Since winning the Maybelline competition a few months ago, you guys know via my instagram I've been using there Lash Sensational Mascara, which I've been completely hooked on and even got my mum to switch to it as well.In this review, I decided to do a small breakdown and do a comparison with Maybelline, so you can see if there is an actual difference and if it is worth the price. So not like many mascara's this one comes with a pouch to keep it safe and also prevented it from rolling off my dressing table.Inside there is an instruction booklet, with a basic 3step guide on how to apply, alongside with the Transplanting Gel and 3D Fibers. 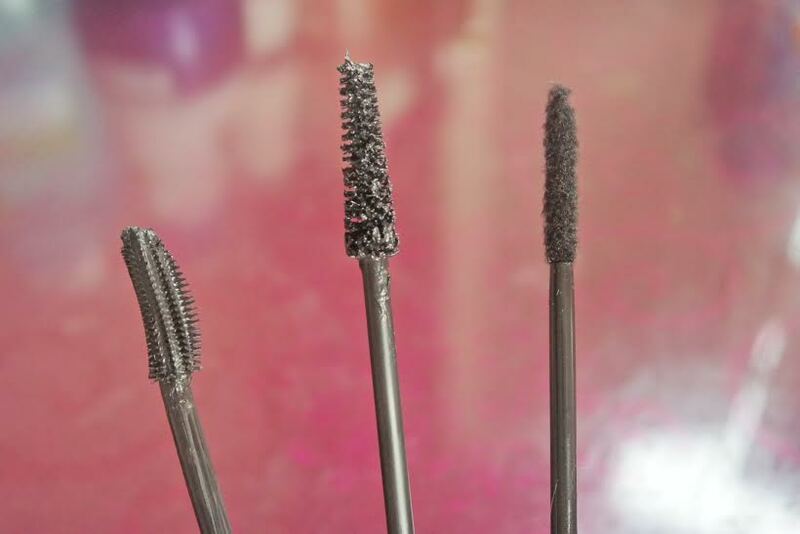 The Transplanting gel was very easy to apply, it felt a lot like using a normal mascara on the lashes.It is quite wet which is expected due to the fibers needing to stick onto it for the next step.Using the 3D fibers for the first time was a bit difficult only because it isn't your normal standard mascara that you use.Within minutes from applying the fibers, my eyes began to itch and I assumed one of the fibers got into my eye and didn't think anything else of it.For most of the day my eyes were irritated, and tried other ways of applying over a 3 day period, including my mums lashes, and she had the same irritation to her eyes, causing her to remove it after 10 minutes. This mascara does add some length and that is just with one layer, however; on the left side is Younique and on the right is Maybelline.The Maybelline mascara not only looks a bit longer, it doesn't clump and doesn't give that "spider" lash look either.Lasting wise, Maybelline won in this category again, lasting for an approximate 9hours before shedding, with Younique for about 4hours.Removing Younique with Garnier Makeup remover was a lot more easier compared to Maybelline, as you literally have to leave the wool pad over the eye for 20seconds before pressing down to remove the product. The retail price for Younique is £23 with a hefty £6.99 shipping fee if purchased on its own, but is free if purchased with other items or in facebook groups such as this one for example (IOW only).Maybelline Lash Sensational retails at £7.99, with it on sale most of the time for £5.99. This hasn't put me off from trying there other products, but I really do feel that this mascara is overrated and isn't worth the investment at all when you can receive better results with a cheaper alternative.